Bauer Media has run away with the prize of most shortlisted entries at the Mumbrella Publish Awards. The Australian operation of the German publisher scooped an immense 27 shortlisted entries across the 35 categories. Among its nominations were major categories including Publishing Company of the Year (Large), Brand of the Year for both Take 5 Magazine and The Australian Women’s Weekly, Branded Content Studio of the Year for Story 54 and Editor of the Year with both Elle’s Justine Cullen and Take 5 Magazine’s Paul Merrill in the running. Medium Rare Content Agency also performed strongly with 14 nominations. It was shortlisted for Publishing Company of the Year (Large), Business Publication of the Year for Company Director, Custom Publication of the Year for both Qantas Magazine and Coles Magazine as well as Sales Person/Team of the Year for its sales team as a whole, among others. 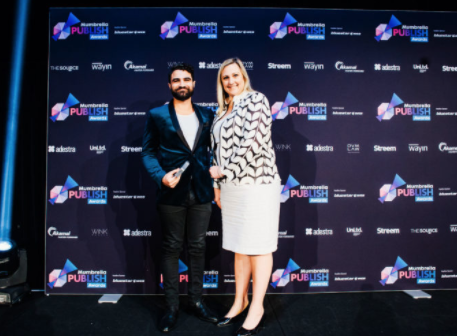 There were five nominations for Young Writer of the Year (30 or Under) with Mahmood Fazal of VICE, Kate Allman of LSJ – The Law Society of NSW, Gina Rushton and Lane Sainty from BuzzFeed as well as Brittany Smith from Bauer Media. Last year’s winner, Adam Baidawi, was recently announced as the launch editor GQ Middle East. New category, Newsletter of the Year, featured a shortlist of four with successful entries from The Squizz, Take 5 Magazine, Nine.com.au and The Bangarra Dance Theatre’s Songlines newsletter. Meanwhile, renowned British comedian and writer, David Baddiel, has been confirmed to MC the Mumbrella Publish Awards. Baddiel created the hit TV series Fantasy Football League and Baddiel and Skinner Unplanned with Frank Skinner, as well as being an acclaimed author who has written four adult’s novels and five popular children’s novels. Baddiel will fly in from the UK to host the event and tour his latest Olivier-nominated stand-up show, My Family: Not the Sitcom. Aside from his stand-up comedy, TV and novels, David has also written critically-acclaimed movie The Infidel, starring Matt Lucas (later adapted into a musical), and is currently adapting his first children’s novel, The Parent Agency, into a film for Fox 2000. Winners will be announced at a gala dinner on September 20 at Doltone House, Jones Bay Wharf, in Sydney. Tickets are on sale now.